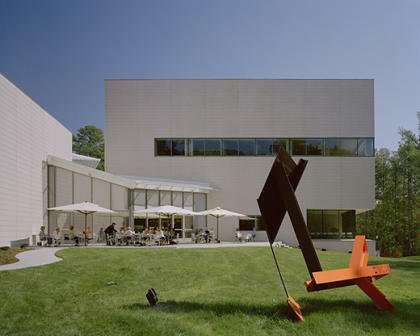 Admission to the Nasher Museum is not required to enjoy what Food & Wine called the "ever-changing exhibit of culinary art" available at the Nasher Museum Café. Located in the lobby of the museum, you can dine on chef Giorgios Bakatsias's contemporary menu of seasonal recipes, all made with fresh ingredients. Dishes include Asian cabbage salad, paninis, duck breast medallions, and more. Business Hours: Tu-F ,11am-3pm; Th, Dinner 5pm-8pm; Sa, 10am-4:30pm; Su, Noon-3pm.